THE KEMPS Guest House is in a central location about 15 minutes walk or 5 minute taxi ride to the bus and railway stations, and Inverness City centre. Our 5 tastefully decorated and cozy guest bedrooms are all located on the ground floor where you will also find our guest dining room. We are a short stroll from the famous Caledonian Canal where you can marvel at the boats passing through the 'locks'. You can also enjoy a walk or cycle along the banks of the scenic canal itself. We are an ideal base from which to tour the Highlands and Islands. There are no rooms available at The Kemps Guest House for these dates. Everything just as you would like it. Wouldn't think twice about returning. Warm welcome. Good sized room. Delicious breakfast and great stay!! Very clean. One of the best B&B’s we stayed at on this trip! I would definitely recommend this B&B and might even return someday!! Waterfront Bar and Restaurant around the corner has very good food! Very pleasant stay, Very friendly and welcoming would thoroughly recommend. The only reason for not getting five stars across the board was that I am unused to sleeping in a house on the main road and being a light sleeper the traffic woke me up from time to time. However it isn’t a busy road and the windows are well double glazed, it is entirely down to my own normal sleeping arrangements and habits! Friendly, sincere hosts ensuring that guests are comfortable and satisfied. Enjoyed our stay. The innkeepers were very nice and helpful, loved the fact the inn is all one level and right on a bus route. Breakfast was wonderful. Another bonus is the inn is right across the street from a grocery store. Would stay again and have already recommended to friends. Do check out the viewing point at Inverness castle. Friendly owners who shared their lovely home with us. Eunice and Brian gave us a warm welcome, they were very kind and helpful, we felt like we were at home. Rooms were clean and comfortable. Breakfast was amazing. City centre is not far from the house, you can visit the castle and the cathedral. For restaurants we recommend the Waterfront. I had a fantastic stay! Your place is one of the best that I have stayed at. Your provide a warm and friendly place to stay. The breakfasts are great. The rooms are beautifully furnished and comfortable. And I found the place only a short walk to the city centre. You have been very kind, thank you a lot! The MacGregor's Bar is not too far away and has good beers and food. Number 27 was good too. We reccomand the Passion tour with Jacobite Cruise, a dinner in the Castle Tavern and a simply wolking tour in the city. First of all, thanks to Eunice and her husband for nice hospitality. Location was not that far from the Inverness city center. I've never seen any B&B which was cleaner than the Kemps Guest House. Breakfast was prepared as ordered. Very nice and helpfull host! Thank you! Very kind and friendly and the room was very nice and extremely clean! Everything made us feel at home! Delightful, homely atmosphere. Excellent hosts. Brilliant location, quiet but close to local amenities. Perfect stay. Clachnaharry Inn ~1 mile from guest house. Lovely pub dinner. Whin Park and Inverness Botanical Gardens well worth a visit and not too far. Very welcoming hosts, very clean and comftable property. Only a short walk into town centre. The perfect B and B, comfortable, spacious single room, welcoming hosts, perfect breakfast (I like a tick list to minimise waste and ensure I am not faced with food I dislike first thing in the morning). Excellent location and very convenient parking. What's not to like? All at a very reasonable price considering it was at the height of the season. Very pleasant owners, good breakfast and reasonably priced. City center is 7 minutes away by taxi. My wife and I spent two days at The Kemps Guest House - and we would book it again! Rooms, Service, everything excellent. You can even bring your own food with you and eat it with the houses dishes in the eating room. A special thanks to the staff - we felt comfortable from the first to the last minute of our two day trip in Inverness. We loved your hospitality, Eunice and the wonderful breakfast. Our room was very clean and cozy as well. Not far from the City Centre and close to the River Ness. Welcoming, warm and friendly. Time taken to have a chat. Very friendly hosts with good recommendations about Inverness, incredibly good breakfast and the room and facilities were very clean. Real kind staff, comfortable and nice room, great complete breakfast. The owner is really kind and helpful. Ideal for a business overnight. Friendly, clean, comfortable bed, decent shower & good breakfast menu. Free on site parking. 10 min walk to restaurants. Eunice is a friendly host, going above and beyond to look after her guests. I've stayed at The Kemps four times and have already booked my fifth stay. That says it all! The hearty breakfast sets me up for a packed day at work. Fantastic hosts, exceptionally clean and cosy rooms. Wonderful breakfast in the morning. Hosts had excellent knowledge of Inverness. Would definitely stay here again if I return to Inverness. City is a short walk in from the property. Supermarket is across the road. Great for short stay. Bedroom a little small and don't like the sink in the bedroom but very clean and nicely decorated. I had a nice stay in the Kemps Guesthouse. Really warmhearted hosts and an excellent room and breakfast. The guest house owners were fantastic all round, highly recommended. Lovely place, lovely people, great breakfast!! Would definitely come again! Waterfront Pub, but do get a reservation! Only thing: no laundry facilities, and the laundromat is quite a distance, if you are walking, and carrying laundry. Nice hosts, best breakfast ever. Close way to town. Marvellous breakfast and neat rooms! Clean & spacious single room. Warm friendly welcome. Currently I am travelling around the UK over a 2 month period. I have booked into 22 bed and breakfast accommodation on my way. The Kemps Guest house was my 14th stop. I found it one of the cleanest and most comfortable places of my travels so far. The location is perfect especially for a single traveller like myself. It is busy but not noisy and the main shops are only a short walk away. The breakfast was a good choice and all served with a friendly smile. One bonus for me was I big supermarket straight across the road. Most comfortable stay and welcoming hosts. Homely atmosphere. Lovely, friendly and relaxed atmosphere. Great breakfast, comfortable room. A short walk into the city centre for restaurants/cafes and easy to get to the bus station and railway station. Very welcoming and helpful hosts that were more than happy to help us with directions and offer friendly chatter in the morning Lovely clean room with plenty of space and although it's been a while since I have slept in a single bed I had a great night's sleep! From the moment we arrived to the time we left, the service, friendliness and hospitality was excellent. Would not hesitate in recommending to others. This is an ideal location as it is quiet and only minutes away from the centre and all amenities. Also perfect for accessing main routes to other parts of the country. The ownes were very nivell. They had to wait for us as we were late because of an incident on the Riad They were supportive and attentive. Have stayed at the Kemps many times over the past ten or so years usually just overnight as a break on my journey to and from Orkney. Have also on occasions stayed for slightly longer periods. This is a lovely friendly place to stay and Eunice always provides me with a packed breakfast if I have to leave early before normal breakfast time. A very friendly guest house close to the centre of Inverness. Breakfast was delicious with plenty of choice. Rooms were clean and well maintained. The hosts were very knowledgable and were full of good suggestions. Lovely owners in a beautiful house. We stayed very well! 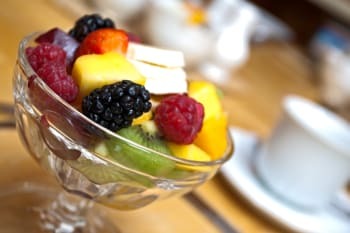 The breakfast is the best we had in Scothland, thanks to a wonderful cup of fresh fruit. Good location (15 minute walk into town). Clean and tidy room and bathroom. Friendly staff. Awesome breakfast. Très bel endroit, très bien équipée , très bien localisée. Prestations de très belles qualités et l'accueil est chaleureux et excellent. Le breakfast est remarquable. Excellent rapport qualité prix. Je recommande particulièrement. El matrimonio que lo lleva es encantador y muy acogedor. Cenamos fenomenal en el restaurante "the mustard seed" . Recomendado por la dueña que además nos invito a una bebida. Astonishingly clean rooms and communal areas. Friendly landlady and a lot of information on the city and the surrounding areas. Breakfast is for all tastes. Traffic in central Inverness can be very heavy so check directions in advance if not using sat nav, parking is accessed off side road. Nice people , great breakfast , l would recommend this B&B to anyone visiting Inverness. Very welcoming and friendly hosts. Gave good advise on where to eat in the evenings, and that booking may be needed for some of the better restaurants. A little less well known, the Clava Stones are worth a visit if you like Archaeology, and are only 4 miles from Culloden, so you can easily do both. Excellent B&B, great hosts, breakfast was a highlight. Flexible too, we were able to check in a little earlier than planned, due to a slight change in our itinerary. Highly recommended. Lovely hosts and nothing was too much trouble. we had a fantastic stay at your house. Thank you very much! We hope coming soon again. It was a very nice stay. Eunice and Brian looked after us very well. The breakfast was perfect and you could choose something every day. Delicious. The rooms are super clean. We will be back. Clean and comfortable room helped get a good nights sleep then an excellent breakfast in the morning capped off a great stay. Warm friendly welcome and service, the room was comfortable and clean as was the whole facility, excellent system and choice of breakfast. 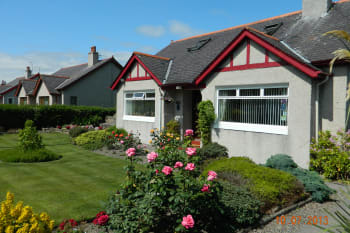 This is a handy location if you are staying for a few days and doing some exploring, you can easily and quickly access all routes to the various places of interest outwith Inverness. I spent three nights at The Kemps and wished I could stay longer. Lovely guesthouse. Cosy room, very comfortable bed, spotlessly clean bathroom. Fantastic breakfast. Excellent WiFi. Welcoming and accommodating hosts. Eunice is a very nice person, very friendly and very easy to talk. I absolutely loved my stay here. Highly recommend. This is the third time I have stayed at The Kemps. Hosts are wonderful people and very helpful with their knowledge of the area. The bed is comfortable, the breakfast is wonderful and the close proximity to town all make this the best place to stay. Great staff. Great location. Very comfortable and clean room and facility. Totally recommend. Everything is excellent, the welcome, the food, the service. Nothing too much trouble. Eunice and Brian were superb hosts and nothing was too much trouble for them. They kindly accommodated my request for earlier check-in and had no issues providing breakfast earlier to fit in with my trip plans. Their cooked breakfast was excellent and porridge one of the best I have ever had, would definitely recommend. Room was absolutely spotless and facilities as expected. Lot of information about local attractions was provided as well. The B&B is easy to find on a main road, while not directly in the centre of town, it is only a short walk away. I have never been to a bed & breakfast because I'm was afraid that the "amateur" services wouldn't be up to the standard of an hotel. The Kemps B&B proved me wrong. It also sets the standard to a very high level for the next B&Bs I will visit in the future. The room is just like the garden and its lawn: immaculate. From the carpet to every single corner of the place, everything is clean. No trace of dust on the furniture, nor mold in the bathroom. Everything needed is provided, and at its place. The room is cosy, the bed is so confortable, it feels like sleeping on a little cloud. We feel at home but with the advantages of a hotel: private toilets and bathroom, tv, courtesy items. The room are even cleaned everyday, which is something we didn't expect from a b&b. Eunice is a great hostess, kind, considerate, and knows how to keep a perfect balance between avaibility and discretion. Breakfast is made on the spot, with care and fresh products (the fruit salad is lovely). The house provides free parking and the city center can be reached with 10-15 mn walk. Eunice also gives reliable advices on the best places to eat in town (trust me, I'm picky on the food). So at the end, I'm glad to give a well deserved perfect score, not because the hosts are nice (they are), but because everything this B&B offers comes with great quality. The Mustard see is must-try restaurant ! Great hosts, nothing too much trouble and always happy to help. Excellent location, just a few minutes walk away from the town centre, with ample parking available. Wonderful breakfast with great choice of items. Bars and restaurants a plenty to choose from, all within easy walking distance. 'The mustard seed' and 'The Black Isle' are a great restaurant and bar respectively side by side in the town. Lovley rooms and very good breakfast! Very friendly people! Very polite and friendly staff, clean and warm house. Quite good value, only 4 for facilities because B&B's don't provide extensive facilities. On-site parking good but limited, easy local parking possible. Pleasant walk into town and back. House on main road but quiet, and easy to find. Petrol Station quite close, Co Op supermarket on same block open late, very convenient. 9 pm check-in time only just possible from Glasgow if no M9 hold-ups. A perfect stay in every way. Walking distance of city centre. Secluded parking. The Waterfront pub provided good pub meals. Very pleased to have chosen The Kemps' out of all the places on offer in the city. Charming hosts and excellent value. Great location and lovely staff. Perfect for short or long stay. Breakfast was lovely. Eunice y Brian son muy amables y serviciales. La casa es acogedora y tranquila, situada cerca del centro de la ciudad. ¡El desayuno es muy bueno! Eunice & Brian are very friendly and helpful. The house is cozy and quiet, located near the city centre. Delicious breakfast! Los restaurantes y tiendas están a tiro de piedra. Restaurants and shops are just a stone's throw away. Lovely clean rooms, and nice breakfasts. I really appreciate you willing to accommodate my dietary requirements also. Thanks so much. Travel to Loch Ness; it's gorgeous! Lovely, comfortable, friendly guest house. Very clean and homely. Lovely warm welcome. Facilities good, with a separate lounge for the guests. The breakfast was excellent ...beautifully cooked and plenty of it. A good place to stay. Thank you. Easy walk to the centre of Inverness (approx 8 mins). Handy for evening restaurants etc. Lovely place to stay. Exceptionally clean, superb breakfast and very friendly helpful owners. Shame I could only stay one night on business. Will definitely stay again if in the area. Cozy and comfortable place. Clean and warm. Helpful and nice staff. Very welcoming, friendly and helpful. Thank you, Eunice, for making us feel at home. Very friendly and welcoming . Breakfast excellent. allow 20 minutes to walk to railway station via footbridge over river. Nearby co op handy for packed lunches etc. Eunice and Brian are warm, friendly people who make you feel like a treasured guest in their home. The beds were comfortable. The breakfast was one of the best I've had and compares favorably with the finest hotel fare. I only wish I could have stayed longer. It was a bit of a walk into Inverness, but easy enough to do. Restaurants close at 10 pm during the week, so we were lucky to have found a few places open on a Tuesday evening. We took a day tour from Inverness Tours. They guide was charming and knowledgeable. Well worth the money. Whaterproff restaurantes, near the river. Lovely, comfy home. Super breakfast & very welcoming.Thanks! We think the location is good, close to the city center, easy to find well located near to supermarkets. Free parking is great is you are travelling by car. Brian and Eunice were such lovely and helpful hosts offering a high level service. Excellent facilities and great breakfast which was fresh, delicious and plentiful. Good value for money. Inverness is a great place to set your base to make road trips around the highlands. Inverness also have an extense nightlife and there are many good restaurants and pubs where you can have local food and listen to traditional Scottish music. Great atmosphere in the B&B, very friendly proprietors and couldn't do enough for you, excellent stay. Great entertainment close by every night. Many thanks for the pleasant stay. Lovely family run B&B. Not far from the town centre. Good value for the money. Fantastic breakfast. I had a great stay at the Kemps Guest House. Brian was very welcoming and helpful and made excellent breakfasts each morning. The place was very clean, I loved my room I had, it was perfect. Absolutely my best stay during my holidays in Scotland. Thank you! Very warm welcomme, the scottish breakfast is excellent, with a large choice. Excellent stay for us. Very comfortable stay. Great hospitality. Excellent breakfast with many items. Excellent. Clear and warm. Tended in every detail. Rich breakfast. I fully recemmend it. Great breakfast and friendly hosts. Wonderful. Very comfortable and friendly place to be. Awesome breakfast! Handy to walk to centre and Eden Court. Riverside very attractive in early evening. The hosts are very friendly and helpful persons. The room was very clear and well-equipped. I was satisfied with everything and I gladly recommend it to everyone. My host recommended a restaurant, called The Waterfront, near the guesthouse. Unmissable! Very clean B and B. Very pleasant hosts. No complaints what so ever. Parking off road. Main road is busy but you don't hear it after 10 minutes. Location is only a 10 minute walk from the river so is no problem if you are mobile. As we were only staying the one night it was jus a case of sampling a few bars and a very good restaurant. (The Mustard Seed. Excellent looking over the river. Lovely place. Superb location. Eunice is simply lovely and she is a wonderful cook. Place is extremely clean and we had a marvellous stay! The waterfront that Eunice suggested was simply delightful, affordable and have very delicious food, ambience was lovely as well. Loads of convenience stores nearby! Welcoming, pleasant and helpful hosts. Near to city shops, etc. visit Culloden. It has excellent disabled facilities. Very clean, confortable and quite place to stay. Good position, good food, staff always helpfull. The First evening we followed The advices of staff and had dinner at The Waterfront, just 10 minutes walking by The Kemp. Very good traditional food and the best Ale I've ever had!! Culloden battlefield is a place of great historical interest in my opinion. Really lovely couple, Eunice goes out of her way to help you, she's so kind! The cooked breakfast in the morning is amazing, and has everything you could ask for!! The water was always hot, and the house always heated up, and it was a short into central Inverness. A day trip out to Loch Ness is a must, and the walk out to the Ness islands is a really nice walk! Wonderful hosts, delicious breakfasts. Very comfortable beds and ensuite bath. We would return to The Kemps Guest House. 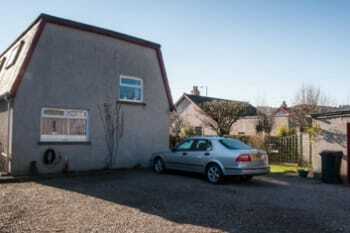 Within walking distance to the Caledonian Canal and restaurants. A short and easy drive to tour Culloden Battlefield, Clava Cairns, and Cawdor Castle & Gardens. The Kemps can recommend the best dinners in town! We had a really nice staying there - everything was perfect!!! Very friendly owner and excellent service. Very useful to have parking included. Fifteen minute walk into Inverness town center with all facilities available. Eden Court Art Center and as many restaurants as you could need. Eunice is very sympathique !!!! Very disponible and we feel realy like we were at home!! We are very pleased to be at the Kemp Guest House, it will be a good part of the good souvenir we keep from our trip. Eunice is a very loveley host. Please follow her advice on were to have diner. You will not be dissapointed. The room was a little small and the bed too. Breakfast was fine for us. Check out the Musterd Seed for dinner, Eunice wil tel you all about it. Inverness is a very good base to see the Highlands of Schotland. The Kemps is close to the city centre, a 15 minute walk and you are there. Tidy house, excellent Scottish breakfast, very kind and friendly staff. The only thing negative i can write is that for the visitor arriving by train or bus, getting to the guest house would be a bit of a challenge in inclement weather. As for the guest house itself I can only express my total satisfaction. The Kemps Guest House should be the standard by which all other B&B's should be assessed. The decoration is very tasteful, the rooms are well equipped, the whole house is spotlessly clean, the garden is also well maintained and full of beautiful blooms. Eunice is the perfect hostess and her "washer-up" (her discription) compliments the remainder of the staff. A lovely stay and I am certain that I will be using Kemps Guest House whenever I visit Inverness. There are many eating establishments catering for almost everyone's' taste. There are a few pubs and restaurants that provide traditional local music to enjoy with your drink and or meal. There are a number of good walks to undertake: along the towpath of the Caledonian canal; around the Beauly Firth; or more strenuous walks around the area. Delightful stay. Made very welcome. Breakfast was a highlight with a wide choice available. Room was very clean and comfortable. For the adventurous would recommend hiring a bike and seeing the sights. Lots of cycle trails. Ticket to ride bike hire were terrific. 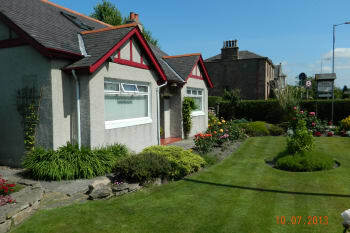 Ideally placed within easy walking distance of City centre, and Caledonian Canal. Excellent breakfast with various choice options. Separate lounge and TV room. Great stay. Muy atentos . Fue una estancia muy agradable. Very nice place. Waterside restuarnt very poor. would advise avoid. fish served uncooked. sencond dish served (half a fish) chips covered in black spects. mentioned this to member of staff, said it was seasoning! I think not. Lovely clean place, friendly people and excellent breakfast! I cannot recommend this place enough. I had an absolutely perfect stay at the Kemps Guesthouse. The museum and gallery. Hootanannys Pub had great live music and atmosphere and the haggis was excellent. Walking through the Ness Islands. Jacobite Loch Ness tour. Marvelous stay. Mrs.& Mr. Kemp very kind. Two minutes from the centre. Eunice and Brian could not be more helpful and provide good advice on Inverness and its facilities. The Rajah Indian Restaurant is very good whilst for value for money I found Weatherspoons to be unbeatable. Welcoming and helpful owners, spotlessly clean rooms and a variety of delicious breakfast choices made this an ideal place to stay. There were plenty of soft, fresh towels, a nice deep bath and powerful shower. 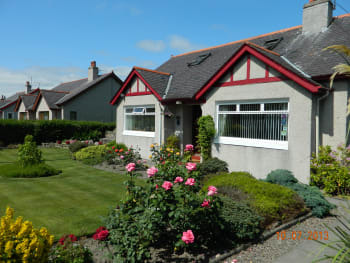 The property is a short walk from the centre of Inverness. The Waterfront pub/restaurant and a range of other restaurants punctuate the short walk into Inverness city centre. Everything is nice. The length of quilts could be the only minor flaw. Eunice you were very attentive to our needs and helpful with advice about restaurants. We enjoyed our stay with you and wish you the very best in the future. Kemps Guest House is in a good location to go and visit Culloden and other places further north eg Tane which was very interesting. It is also close to the local stop for the Hop On/Hop Off bus. Very friendly, helpful owners. Cosy and homely atmosphere. Easy to find location on edge of town. Enjoyed our stay at Kemps. I am usually in a lot of pain with mattress but bed was comfortable. Friendly hosts. Galleons bar has good music in town. The fluke inn culcabock road IV2 3XQ is great for food and has 2for 1 meals which is other side of town. Went to Jimmy chungs first night as you need to book restaurants and all full up. I thoroughly enjoyed my stay at the Kemps Guest House. The owner was very friendly and keen to make sure everything about my stay was perfect. The bed was very comfortable, the house was clean and well-heated, and breakfast was absolutely delicious. This is a great place to stay and excellent value for money. There's a supermarket just down the road, and it's a short walk over the bridge into the main part of town. The Culloden battlefield museum is a great place to visit (about 15min away by car). This was a lovely bed and breakfast. It's a bit of a walk from the train station. The room was neat and clean. The breakfast was nicely prepared with a good menu option. And the owners are very kind and helpful with suggestions on restaurants and pubs in town. made us most welcome. Allowing us to eat our take away in the dining room and use their crockery was a nice touch. Very kind, pleasant and nice hosts providing good tips and services. We would remember about our stay in Inverness. The Mustard Seed and The Kitchen are excellent restaurants and not too far (10-15 min walk). Caledonian canal could be seen at 5 min walk from the room (opposite way from the city). If doing Loch Ness, try to drive on the east side instead of west (Dorness, Toress....) : very beautiful sceneries. Lovely place, very nice hostess, great breakfast. A very warm welcome and friendly atmosphere throughout my stay. Would stay with you again if considered visiting Scotland. Really enjoyed the high quality, presentation and service of breakfast. Really enjoyed my stay even though a week is not long enough and would take my car next time. Hope to see you both sometime in the future. Lee. Had a lovely stay with you. Great breakfast, just wished it was served a little later. Contacted immediately after booking to ensure we would be met on arrival, and very friendly welcome when we got there; private parking at rear; wonderful breakfasts. Under 15min walk to city centre - even less to 'The Waterfront' for great food; supermarket directly across road very handy for picking up essentials! Eunice was a great host! Would definitely recommend and come back! Lovely friendly people. Very welcoming. Waterfront restaurant a short walk away serves tasty food. Very welcoming atmosphere. Beautifully clean room. Having the car parking was a huge bonus. I'm glad I booked for my evening meal in one of the restaurants in town. Perhaps this is something to make people aware of when booking and also how easy it is to walk from the Kemps into town. Eunice and her husband have been wonderful hosts: they gave us good advices on where to eat and they made a really good breakfast! The room was clean and confortable and the position is perfect to reach the city centre (10 minutes walking). Good location. Worth the little extra walk (10min) to city centre to stay here rather than a city type B&B. Warm, friendly and helpful. Room bright,clean and very functional(ie: good layout of facilities) Lovely breakfast that caters for many needs and plenty of it. Very pleasant stay. welcoming and helpful. Enjoyed our stay use of the dining room facility for take away food was a great idea. Thank you very much. Lovely clean establishment, wonderful hosts and superb breakfast spread. A really enjoyable stay. We used this great little B&B as a base to explore the area. Some local restaurants a little pricey. Waterfront is a great little restaurant not too far away, and we found Indian Ocean on the other side of the river was really good and a little less expensive. Very pleasant owners. A real home from home feeling. Comfortable and clean room at a competitive price. Ample breakfast with good choice. Now on my Inverness top list. Only a 10 minute walk into town that has a comprehensive range of restaurants. Fantastic location, just 3 minutes walk from the town centre. Lovely hosts, very accommodating. Room was perfect. Perfect twin bed ensuite room for an overnight stay. Tasty breakfast choices. Highly recommend. GPS works well to locate this Guest House. Fantastic, wonderful! The best stay in Scotland! Nice and friendly hosts. The room was clean and cosy but a wee to small. The breakfast was good and served with a smile and a little chat. It´s not far from here to the town center just a little walk. The Castle Tavern is worth a visit. They make a fantastic haggis. Pleasant and helpful people. Good room and breakfast. 15 minute walk from rail station. Eunice is a very helpful lady. Stay was excellent. Will definitely be back. Room was small but beautifully presented and immaculate. Eunice was a lovely 'front of house' lady, very welcoming without being overbearing. Breakfast was all freshly cooked and tasty. Good to have off-street parking. Excellent location for access into Inverness town centre (about 10 - 15 minute walk) which has many good shops & restaurants. Thank you for your hospitality! The burst water pipe down the road was very impressive! Perfect!! Very kind people and good meal. Lovely friendly people. Pleasure to be there. Will use again. Good access for touring the Highlands; and then the evenings in the pubs and restaurants of Inverness. Great simple and warm atmosphere at Johnny Foxes Pub,good food and smiling service, it's located on the Ness river bank, only steps away from the town centre. Wonderful walk at Falls of Foyers (20 min drive from Inverness). Superb visit at Cawdor Castle. Thoroughly enjoyed my stay, hosts extremely friendly and helpful, would certainly stay again. The Waterford Restaurant, very reasonably priced, excellent for meals, staff very frendly. Thursday a good evening to go when Scottish Folk Group performing. It was a really nice time. Thanks a lot ! Eunice and Brian were a lovely welcoming couple who provided plenty ideas for sight seeing,eating out and things to do locally. Room was spotless and breakfast was enough to keep us going all day. Waterfront Restaurant has ans amazing menu. Caledonian Canal is only 350 yds away and provides a lovely walk into Inverness town centre via the Ness islands and then along the river Ness.Girvans cafe for tea and cakes not to be missed. Very friendly couple, good food nice rooms and free parking onsite. Eunice and Brian are very friendly hosts and were very knowledgeable and helpful. They obviously take pride in their city and in their bed & breakfast. On arrival we commented on how lovely their sweet peas were, next morning Brian had picked some and they were in the dining room to enjoy over breakfast. Location was perfect for our needs and it was an easy walk into the city. We received very friendly and looked after. we got good tips for restaurants and attractions or because we were caught cold to even come to Medikamte. What our hostess again want to thank sincerely. Very good hotel in a good location at a reasonable price. Very warm welcome, and good facilities. Breakfast excellent, especially the black pudding! Cawdor Castle well worth a visit. Eunice és una màgnifica anfitriona.Atenta y dipuesta ha hacerse entender a pesar de nuestra dificultades con el idioma. La casa sencilla pero muy acojedora. La habitacióm magnifica...coqueta.El desayuno,lotípico...no se puede pedir más.La zona, sin estar muy lejos del centro, és tranquila. Para volver !La recomiendo. Preguntar a Eunice por el pub The Waterfront..buen servicio, buena música los jueves por la noche. Felt very welcome and we were well looked after. Nice room and ambiance. Great place to stay, close enough to be able to walk to and from town. Great breakfasts and really appreciated the tourist information available. Walk along the Caledonian Canal to the loch cruise departure point is very nice. And the walk from the cruise departure point back into town via the river island walkway is great. I can not praise The Kemps Guest House too highly. Everything about it was superb, from the quality of the accommodation and the friendliness of the hosts. And at a very generous price too. I used Inverness as a base to travel around the Highlands. The town itself is neat and compact so it is easy to see it on foot. A particularly nice walk is along the river Ness to the islands. Large and comfortable rooms. A very horny welcome. A very nice hostess. Everything was perfect. A nice place to go ..
very welcoming. excellent breakfast. really comfortable bed. the waterfront pub. Cullen skunk. the riverside walk to the islands. the Victorian market. Thoroughly enjoyed my stay at your lovely home. Accommodation, food and facilities were excellent, whilst the helpfulness you displayed was much appreciated. The Rajah Indian Restaurant is very good and the riverside walks and views are superb. Great hospitality, and wonderfull breakfast. Ask the host for things to see in the area, we did and was very satisfied. A lovely friendly welcome, a good breakfast and a large lounge to use in the evening. We had 2 excellent meals at the Waterfront pub nearby. Although we saw no dolphins on a boat trip from Inverness, Eunice's tip about visiting Chanonry Point just round the coast, meant we saw 4 just off the coast. Lovely B&B, on a busy street, a bit of a walk to get into the center of Inverness. Excellent facilities and off-street parking. Good recommendation for a local pub, the Waterfront, from our hostess. Good location not far from the center,many shops around. Lovely B&B with very welcoming hosts. I would definitely consider staying again if I'm ever visiting the area again. Location is great for evening walks along the canal. awesome place, felt like being home. Perfect hosts. Waterfront, magic food and great location. The room was very nice and clean. Staff was friendly and did have to us some suggestions worthwhile. Brilliant hosts, the house was spotless and the breakfast was delicious. Not one complaint! Very friendly and interested in their guests. Made us feel welcome. We loved our stay at the B&B. Our hosts were excellent and accommodated a late arrival. Breakfast was first class and set us up for the day. The location was great as it was so close to the Muirtown Basin where we were picking up the Fingal Barge, and also only a short walk into town. Hosts are very friendly, helpful, and just really nice people. I felt warmly welcomed. Central to Inverness; in walking distance of shops; castle; cathedral and Loch Ness. Super cleanliness, superb breakfasts with plenty of choices. Lovely people who were ready to help in any way they could. Lovely hosts and very knowledgeable about the local area with lots of suggestions of things to see and do. Very comfortable stay with a very hearty breakfast. We enjoyed a very good meal at the Waterside Pub and then took a very leisurely walk along the banks of the river Ness. We also enjoyed our drive around the Black Isle. Eunice was wonderful and couldn't do enough for us. Breakfast was excellent. That Cafe 1 had excellent food and the "Bar Menu" Was very reasonably priced. Lovely room, small but perfect for travelling on your own. Hosts were very helpful and kind, accommodating my special requests and giving good advice on the area. I would definitely stay here again! Inverness is a lovely little city, and the Kemps Guest House is a short walk from the city centre and river front. I particularly enjoyed dinner at The Waterfront pub, which is about 5-10-minute walk from the guest house. Excellent in every respect. I thoroughly recommend. A super friendly Bed and Breakfast, excellent facilities and memorable breakfast. So good welcome, Eunice and her husband are really good hosts. Everything was better than expected: cozy, super clean an tidy, quiet, comfortable bed, even if you r room doesn't have bath it's near, clean and almost yours. To have a breakfast cooked and served by unice is an amazing experience. The Kemps Guesthouse is Absolutely recommended to anyone. Ask Eunice, She knows good places to go! Verry nice people and a nice room with a good breakfast. We have eten in The Room it was very good. The house was beautiful and the hosts welcoming but unobtrusive.The room was clean, comfortable and warm. Comfy bed and plenty of storage room.The breakfasts were freshly cooked to order and the food was delicious. We were made to feel very much at home and nothing was too much trouble. We will definitely be returning, but for longer this time! Central location, town centre 5min walk. Beautiful canal walk 5mins away, with cruises along the canal available. River Ness walks also on the doorstep. Plenty of bars, restaurants which serve food quite late and a good variety of shops. I found the welcome to be very warm and Eunice was a very good host and did all she could to make my stay enjoyable. Although "The Kemps" is a short walk from the City centre (it took me about 20 minutes to the station) it is situated in a pleasant part of the town and it was good to have the cansl basin so near for an evening stroll. The room was comfortable and the breakfast of hiogh standard. I shall keep the details for next time I am in Inverness. If you're looking for a quiet, reasonably-priced place to stay at the very hub of the city with excellent off-the-road parking, welcoming owners and piping-hot breakfasts your search is over! Very nice place to stay, nice room , excellent Scottish hospitality , very reasonably priced, definitely stay there again. Very warm welcome on arrival,owners were very friendly and helpful nothing was too much trouble. Would definately recommend this B&B to friends & family. If you like good food and are looking for something different would recommend you try Kool Runnings a Jamaican restaurant located on Church Street friendly staff and the food is great. If you like real ale try the Castle Tavern on Castle Street, Hootanany is another great pub that sells real ale it's on 3 levels with music to suit all tastes. A great place to stay. Lovely people. Fantastic breakfast..can't ask for much more! There is a Lidl accross the road. Also a lovely Chinese Take away about 50 yards away. Also a Co-Op with a cash machine 50 yards the other way. I was totally satisfied, i love the lovely prepared breakfast, Mrs.Connelly was very friendly and i felt very welcome in her house. i warmly recommend this guesthouse! the "Ash" Restaurant at the main station, very good menus for just 6,95 Pounds a walk on nessi-island is romantic a trip to urqhart castle at the loch ness with the boat-and bustour "temptation"
Arrived at Kemps Guest House and was greeted by a lovely couple Brian and Eunice which made me feel so welcome that I felt at home rite away!My room was spotless, comfortable and nicely furnished , The breakfast was delicious and set me up for the day , there was also a very nice lounge to sit in if you wished,, all in all it was a fantastic experience and certainly would return to Kemps! Thanks again Eunice. Great friendly place, walking distance from the centre. Comfortable stay and great breakfast every day! Excellent stay - Eunice you're a brilliant host. Breakfast was the best and definitely set you up for the day. Rooms very clean and cosy, great to come back to on a cold night. Thanks again and will definitely be back. The castle tavern is a must to visit with great food with macaroni cheese to die for. This is one of my favorite experiences in my tour from London to York, Edinburgh and Inverness. The owner is very kind, friendly and considerate. The room is very clean, warm, really homelike. The breakfast is perfect. I will definitely recommend The KEMPS to my friends. Very friendly proprietors, clean and spacious room, excellent breakfast, set me up for the day. Immaculately clean rooms, great facilities, well priced, a great choice for breakfast and only a few minutes drive from Inverness town centre. Definitely one of the best B&Bs in the area. Well done! the restaurant Mr.Rice near the hotel is a very wise option for eating. A good nights sleep followed by a good breakfast for a good price. Great guest house, very warm and welcoming. Lovely rooms. Only 10min from city center and 20min from Inverness College (walking!). On a fairly busy road but ample parking and easy walking distance of Inverness centre. The room was spotless although a little cramped on the washbasin side! The breakfast was absolutely first rate. The hosts couldn't be more obliging. All in all a great 2day stay, thank you. Try the Castle Inn at the top of the town ! Excellent food and ales, great landlord and staff. the purpose of my visit was attending a band (the magic numbers) at the ironworks, thus able to relax without a late night drive home. i asked if a time limit was on regarsing returning, an outdoor and room key was supplied catering for my needs. both staff members were fantastic from the friendliness aspect. excellent breakfast also. will have no qualms returning. Great stay, triffic welcome, on drive parking, could not fault anything, perfect. Inverness has so much, city, countryside, stroll by the canal and watch the boats go through the locks, walk or cycle on the river path, Moray Firth, watch the Dolphins. A great place to stay! I was made to feel very welcome. The facilities were excellent and I would definitely recommend to others. The Waterfront pub was within easy walking distance and a pleasant place to eat with good, efficient service. Very clean and comfortable. Would certainly return when next up that way. Ws only there overnight but it is within walking distance to the centre of Inverness where there is plenty to do and masses of places to eat. Very friendly, helpful service. Comfortable accommodation and excellent breakfast - perfectly cooked. Charming little B&B, not exactly in the centre of town if you're on foot but, if you have transport it would be perfect. Room was ideal and the bed was very comfortable. Bathroom was spotless and had a Bath and Shower. Full Scottish Breakfast was lovely and set me up for the day. Outstanding value for money. Wasn't in town long enough to explore, as I was working at the Rock Ness Festival but, I am keen to put that to rights and see more of the Eastern Highlands so, would love to go back. Am very keen to visit Fort George for one. This is a lovely B&B...clean and cheerful with friendly staff. My room was very comfortable and cheerful. Also, was just a short walk to the river and to the town centre.